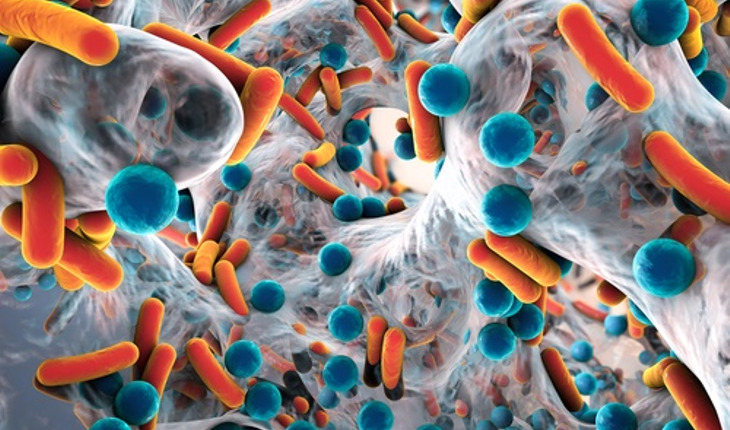 New research could help experts fight the so-called “nightmare bacteria” as well as other superbugs. Scientists from the University of Michigan Medical School say they have discovered more about the risk we face from one of our most dangerous microscopic foes, Klebsiella pneumoniae. They made the discovery in mice with pneumonia. K. pneumoniae has already figured out how to overcome our best defenses – including, in some cases, all our most powerful antibiotics. It’s the third-most-common cause of infections that arise in hospitalized patients, and causes pneumonia, urinary tract infections, wound infections and bloodstream infections. In its most drug-resistant form, it’s considered one of the carbapenem resistant Enterobacteriaceae, or CRE – so called “nightmare bacteria”. Called siderophores, those molecules have long been thought of as a way for bacteria to gather the body’s iron – a precious element needed to grow and reproduce – by attaching to it and stealing it from us. Siderophores from K. pneumoniae are hundreds of times more powerful at grabbing iron than the proteins that our own bodies produce. What’s more, the bacteria produce a kind of siderophore that defense systems can’t neutralize. Bachman sees the effects of K. pneumoniae on patients in his work as a clinical microbiologist at the U-M Health System, where he’s associate director of clinical microbiology. That motivates him to study it in the lab, though he notes that it’s too early to say exactly how the discovery could be used to help patients. One promising route could be to develop strategies to prevent the bacteria from sending out siderophores in the first place — or to use the siderophores to bring antibiotics back into bacterial cells. Or, it may even be possible to create a vaccine based on siderophores to teach the immune system to attack them as invaders. Meanwhile, he and others at U-M including Microbiology & Immunology chair Harry Mobley, Ph.D., are pursuing a broader goal through U-M’s Host Microbiome Initiative. Using an advanced genetic technique called transposon sequencing, they’re working to figure out which genes K. pneumoniae and other superbugs absolutely need in order to cause infections. To figure out the double role that siderophores play in a K. pneumoniae infection, Bachman and his colleagues had to figure out how to create bacteria that would not reproduce, while still producing siderophores. They were able to mutate bacteria in a way that kept iron-laden siderophores from getting back into the bacterial cells and promoting growth. That way, the number of bacteria in a mouse’s body stayed the same, but the researchers could study what the siderophores did. They expected that if the siderophores grabbed enough iron from the mouse’s lung tissue and robbed the mouse an essential element, the mouse’s cells would respond.. Indeed, they found that the mouse immune system was triggered directly by the siderophores, causing the release of molecules called cytokines that attract infection-fighting cells and cause inflammation as a result. The activation of Hif-1alpha was part of this – because the mouse cells sensed that iron supply was low. So, the team figured out how to eliminate Hif-1alpha in the cells lining the mouse lungs – and showed that in these mice, most of the bacteria couldn’t escape from the lungs to the spleen. But in mice that made Hif-1alpha, more K. pneumoniae bacteria spread to the rest of the body, making the infection worse.